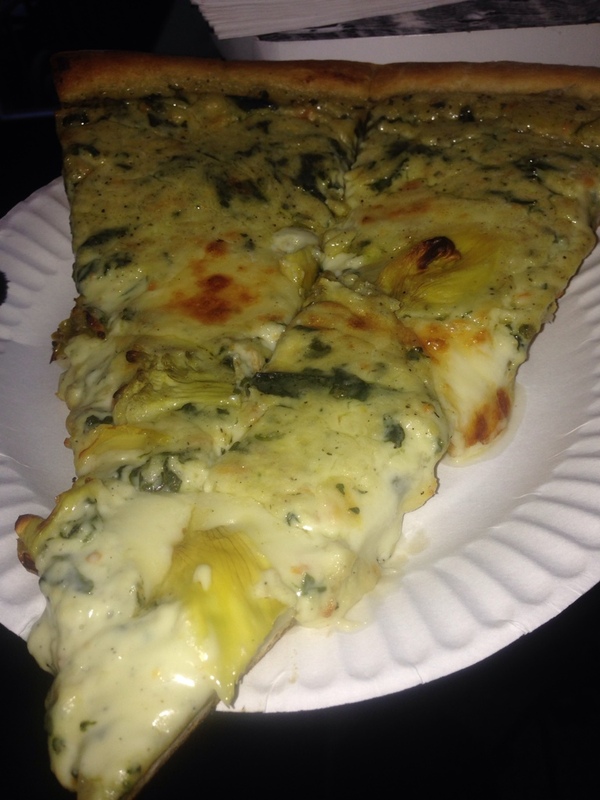 Artichoke Pizza | That Yum Factor! If you like cheese and artichokes you will love this thick slice of happiness. It basically tastes like a creamy artichoke dip on top of pizza crust. I’d highly recommending sharing a slice as after a few bites you actually get extremely full. Posted in Manhattan - NY, Image format and tagged Chelsea on January 21, 2014 by thatyumfactor.